In sunny, but a little bit cold Saturday, as made for walk in pine wood, being admired about multi-colored rhododendrons. Every few moments are seen ant heaps, which loves this place. In rhododendron farm central part is a pond, where, days in comfort, spend duck couples. For one of them, already four lively ducklings. Walking a being admired by rhododendron blossom brightness, you can spend not just one hour in this farm. Just insects don’t give a minute in peace. They’re so many this year. Latvian University rhododendron selection and exploring farm “Babite” was made in 1980 1 July and now is the only special rhododendron farm in Baltics. Rhododendron farm is made in open pine wood 12 ha wide. Here you can see 73 rhododendron breeds and 184 sorts. From them 57 are inhabitant selection sorts (selectionist R.Kondratovics). Although not to al rhododendron sorts could find sort name, some of them I want to lift out. Near the entry gates are brightly pink rhododendron “Liva”; brigt yellow, like reflectingsun light “Saule”; bright red “Uguns” and snow white “Astra”; white with soft yellow middle and very rich with blooms “Ploarzvaigzne”; brightly deep red “Commonwelth”. Some rhododendron names was discovery for me, like, for example, rhododendron “Spriditis”, “Jefins”, “Profesors Jersov”, and I found my name sister “Inga”. It looked, that popular farm rhododendron is “Irina” – bloom rich, leafy and pretty high bushes with lightly violet blooms and yellow middle. Salmon, Japanese rhododendron in combine with other color rhododendron makes fantastic color combination. 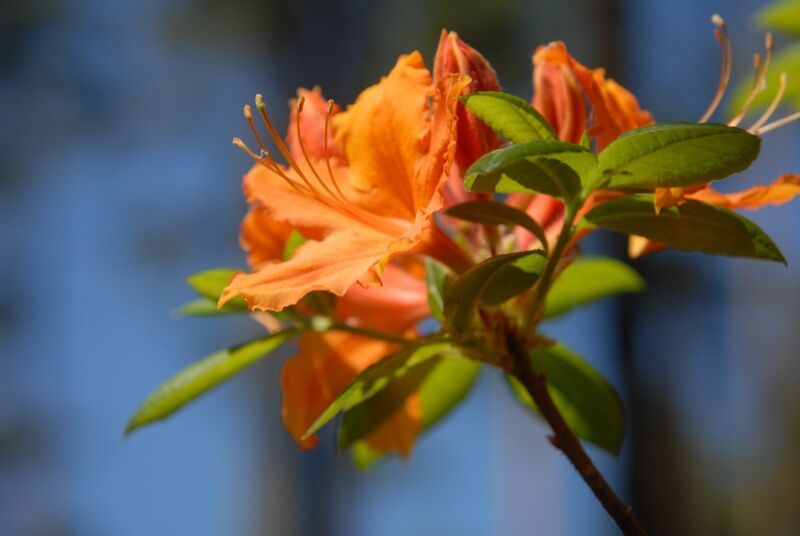 Softly yellow white blooms are “Silver Slipper” rhododendron, but fantastical orange – “Golden Dust” rhododendron.